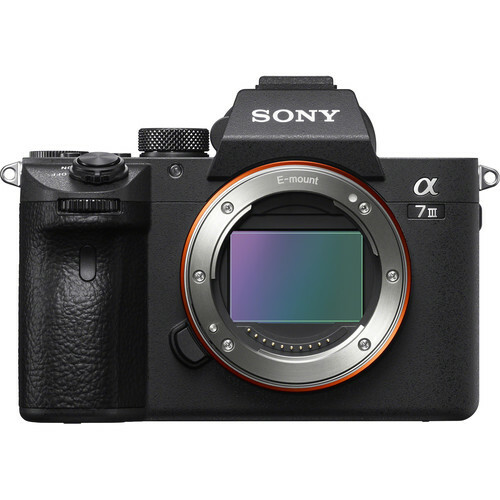 Here is the Sony a7 III in Stock / availability tracker. Featuring the next generation 24.2MP full-frame BSI image sensor and latest BIONZ X image processor, 693 phase AF points with up to 10fps continuous shooting 4K UHD video and the longest battery life of any mirrorless camera to date, the newly announced Sony a7 III mirrorless camera is a well-rounded camera suitable for both photo and video applications in a variety of working situations. So, the Sony a7 III is expected to be another super hot selling product from Sony like the a7R III. Since there are two many pre-orders (the Sony a7 III is the NO.1 best selling mirrorless camera at the time of writing), the Sony a7 III will be out of stock for weeks. So, if you haven’t pre-ordered yet, but you want to get as far to the front of the list as you can, you should probably go ahead and pre-order now. Otherwise you will be waiting a very long time. Sony 64GB SF-G Series UHS-II SDXC Memory Card: at Amazon, B&H, Adorama. SanDisk 64GB Extreme PRO UHS-II SDXC Memory Card: at Amazon, B&H, Adorama. SanDisk 128GB Extreme PRO UHS-I SDXC Memory Card: at Amazon, B&H, Adorama. To be alerted when one of these items is in stock, make sure to add that item to your account and turn on the corresponding stock status toggles.